If you think you have what it takes to be a successful real estate agent, but you don’t really know how to market real estate, Direct Business Marketing has a solution that can help you launch a successful marketing campaign as well as develop sound marketing objectives for your real estate business. The IDX solution offered by Direct Business Marketing can help you generate buyer leads and market real estate while presenting yourself as the expert in the area. DBM’s IDX add-on is search engine friendly, meaning it will get you the best possible results within a search engine like Google or Yahoo!. How does this work? When Direct Business Marketing helps you market real estate, meet your marketing objectives and builds your IDX website, they first apply SEO practices to your website by using keywords, title tags, relevant content and meta tags that will match what consumers are searching for. An IDX website also creates a large amount of content for consumers making it easier for search engines to locate your listings. A few added bonuses of DBM’s IDX solution is that it allows buyers to create accounts on your website so that they can save their searches as well as be notified when new listings that match their criteria are placed on the market. Our IDX solution is user friendly and gives real estate consumers what they want and need to have a successful home search. When you work with Direct Business Marketing to market your real estate business, we provide you with search engine friendly content, unlike most other IDX solutions. We can bridge your website to all of your MLS listings so that consumers can use your website as a landing page. Because of this, more traffic is generated to your website and with more traffic typically comes more leads. If you’re interested in getting into the real estate business and would like to know more about how to market real estate and meet your marketing objectives while working with a successful marketing team, contact Direct Business Marketing today. “How Am I Going To Successfully Market My Real Estate Business?” – The Short Or Stay Calculator! Direct Business Marketing’s Short or Stay Calculator is a great way for realtors around the country to market their real estate website and get the word about their real estate services out to the general public. Not only can our Short or Stay Calculator help you run a successful marketing campaign, it does so by helping you meet the marketing objectives that you have set for your business. The Short or Stay Calculator is quick and easy for prospective customers to use and can help you, as a short sale and real estate agent, successfully market your real estate brand by generate leads and widening your customer base. When a homeowner visits your personalized website that was also created by us, there is a short form for them to complete. All it asks for is their contact information, property address and a few basic items about their mortgage. When they plug this information in to your Short or Stay Calculator, a report is generated detailing the homeowner’s property value as well as an outline of when they can expect their home to break even depending upon different rates of appreciation. When the report is emailed to the lead, it’s sent to you as well and helps you market your real estate business by presenting you as the expert in the field. If you were looking for a new, technologically advanced way to market your real estate business and you weren’t sure how you were going to go about it, the Short or Stay Calculator from Direct Business Marketing is the way to go. When added to your website, it can help you generate traffic and leads that you deserve as a real estate agent. If you’d like more information on how the Short or Stay Calculator can help you meet all of the marketing objectives you have for your business while marketing your real estate, please contact an experienced marketing consultant at Direct Business Marketing today. https://directbusinessmarketing.com/wp-content/uploads/2016/02/DBM-logo_horizontal_white_100x275.png 0 0 Webmaster https://directbusinessmarketing.com/wp-content/uploads/2016/02/DBM-logo_horizontal_white_100x275.png Webmaster2013-06-20 23:52:072013-06-20 23:52:07"How Am I Going To Successfully Market My Real Estate Business?" - The Short Or Stay Calculator! If you stay current with the real estate and short sale world, you may have already heard about the Short or Stay Calculator that can help you market real estate and meet your marketing objectives. If you haven’t heard about this technologically advanced way to generate leads and market real estate, we’d like to tell you a little bit about it today and the benefits that it can provide to you and your real estate business. The Short or Stay Calculator is part of the Short or Stay Marketing System offered by Direct Business Marketing. When you use the Short or Stay Calculator to market real estate you are provided three things: an individualized website, the Short or Stay Calculator and various marketing materials to generate traffic to your website. The Short or Stay Calculator is what you utilize on your website to generate leads, which helps you meet your marketing objectives. Many realtors that are interested in successfully marketing their real estate have turned to the Short or Stay Calculator because it’s easy for the client to use and offers that a large amount of leads. All the homeowner has to do to use the Short or Stay Calculator is enter in their property address and some of their basic mortgage information. The calculator will then email them with a report providing them with an estimate of their property value as well as a break even analysis on their home if they’re underwater. From this they can determine if a short sale is in their best interest. The great part about this report is that you, as the realtor, get a copy of it as well. This allows you to further market your real estate skills by following up with that lead regarding a short sale. The number of current realtors that use the Short or Stay program to market their real estate and meet the marketing objectives of their business is growing by the day; become part of a new trend in generating leads and growing your customer base by contacting Direct Business Marketing about using the Short or Stay Calculator to market your real estate. Are You A New Realtor That Wants To Know How To Market Your Real Estate? Have you just started out working as a realtor and feel as if you could use a few tips on how to successfully market real estate? There are a few different tools out there to help you get started on meeting your marketing objectives and get you on the path to successfully marketing your real estate business. At Direct Business Marketing, we have a few different solutions for you to help you marketing your real estate. One tool that we’d like to tell you about and that many other real estate agents throughout the country are taking advantage of is the Short or Stay Marketing System. As a realtor, you may have already heard about the Short or Stay Calculator, and this is exactly what it is. If you’re a real estate agent that handles short sales and works with distressed property owners, the Short or Stay Calculator can help you generate traffic to your website, capture leads thus helping you meet some of your marketing objectives and market your real estate. Another service that Direct Business Marketing provides to help you market your real estate is their IDX add-on. Their IDX add-on can be added to your new or existing realtor website and helps generate buyer leads for your business. It helps the buyer find what they’re looking for amongst what you have on your real estate website. If you’re looking for help with how to market your real estate and you real estate website, we highly suggest that you look into the solutions that Direct Business Marketing has to offer realtors like yourself. Our Short or Stay Calculator and our IDX add-on have generated results for our existing customers that they only dreamed of before they worked with us. Contact us today for more information on how we can help you meet your marketing objects and successfully market your real estate. https://directbusinessmarketing.com/wp-content/uploads/2016/02/DBM-logo_horizontal_white_100x275.png 0 0 Webmaster https://directbusinessmarketing.com/wp-content/uploads/2016/02/DBM-logo_horizontal_white_100x275.png Webmaster2013-06-18 02:49:182013-06-18 02:49:18Are You A New Realtor That Wants To Know How To Market Your Real Estate? If you’re trying to improve your website’s online presence, provide more payment options to your customers and need a web solution to help you out, we’d like to encourage you to try an eCommerce add-on to your website with Direct Business Marketing (DBM). Using an eCommerce add-on as a web solution not only provides you with the opportunity to let your customers use credit cards as a payment method on your website, it can also help you meet some of the marketing objectives set forth by your small business. When you use DBM’s eCommerce add-on as a web solution, they build your website using a secure payment system, white hat SEO techniques and guarantee that it’s secured via SSL. If you’d like to know more about an eCommerce add-on as a web solution and how it can help your business’s marketing objectives, you should contact a marketing consultant at Direct Business Marketing today for complete pricing and services information. There are a few more things we’d like to tell you, though, about how an eCommerce add-on with DBM can help satisfy your web solution and marketing objective needs. When you work with DBM on your eCommerce website, the number of products and images you’re allowed to have is unlimited so there’s no need to worry that all of your products and services won’t be promoted equally. When your eCommerce website is initially launched, Direct Business Marketing can help you upload your products or they can provide you with a tool for you to upload your own product. It is the business owner’s responsibility to market their eCommerce website, however Direct Business Marketing also provides many other marketing and web solution services if you feel you lack the time or experience to do so. And, as always, when you work with DBM, we’ll design your website with reporting capabilities that are communicated to you on a monthly basis. You’ll always know just how successful your eCommerce add-on is and the results you are getting when you use it as a web solution for your small business. At Direct Business Marketing (DBM) we operate under the belief that having multiple websites is better than having only one website for a few different reasons. When you’re establishing marketing objectives for your business and are interested in a few different web solutions to improve your online presence, having multiple websites can do just that. At Direct Business Marketing, we offer a service to our customers known as Viral Video Marketing, also known as TNT; our TNT services are based on this concept that multiple websites is better and when you utilize our TNT services, we can provide you with a web solution like no other. Basically, our TNT services work like this: DBM creates multiple websites with content that will get you higher rankings within a search engine. When all of these websites work together, it directs the consumer to your main website, thus providing you with a web solution to improving your online presence. If improving your online presence is also a marketing objective of yours, you can consider the goal met. If you are interested in using Viral Video Marketing as a web solution for your business, you should know that it’s only offered by Direct Business Marketing. We use great detail and a variety of other tools to ensure that no other marketing firm provides the level of Viral Video Marketing that we do. If you already have an existing website, or are just starting out and need one created for you, our TNT web solution can be used with any type of website. When you use DBM’s Viral Video Marketing to help you meet your marketing objectives and as a web solution to improve your online presence, it has the potential to generate a serious amount of traffic to your website. Contact Direct Business Marketing today for more information on their Viral Video Marketing services, as well as the many other web solutions we provide to help you meet your business’s marketing objectives. One of the most commonly asked questions of new small business owners is, “How do I use SEO to improve my search engine rankings and generate more traffic to my website?” This is, in fact, a very good question because the success of your business could depend a lot on where your website is showing up in search rankings. 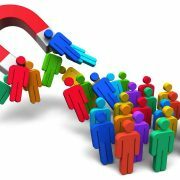 Most small business owners that have an online marketing campaign have similar marketing objectives, one of them being to generate more traffic to their website to widen their customer base and increase sales. When you learn how to use SEO, these marketing objectives can easily be met. So, how do you use SEO? First of all, it’s important to know that a search engine, such as Google, is constantly changing their search algorithms, but when you use SEO, you should always take into consideration what keywords, phrases or titles your consumer may actually be searching for. When you place these keyword items on your website and have content that directly uses these phrases, it improves the chances of your website being placed higher up in a search engine’s results list. There are other ways to use SEO as well. One of the more common ways is by using video on your website. Recently, Google and other search engines have been promoting websites that contain video to the top of their results list. It could be because people enjoy watching video over reading text, however if you’re interested in taking full advantage of how to SEO, you might want to consider putting video or animated content on your business’s website. The bottom line is that if you correctly learn how to use SEO, the benefits to your business could be phenomenal. If you keep your marketing objectives in mind and are striving to meet them, using SEO for your website is the best choice you can make for your business. If you’re looking for information on how to meet your business’s marketing objective of generating more traffic to your website by improving your search engine rankings, you’ve come to the right place. Right now we’re going to tell you about Search Engine Optimization (SEO), how to use SEO and what it can do for your website. First of all, SEO is a set of tasks that need to be completed to guarantee the highest ranking in a search engine’s organic results. There are two different types of SEO that you should learn how use in order to take full advantage of its benefits. The first type of SEO you’ll want to learn how to use is on-page SEO. On-page SEO is made up of things that exist on your website and are put there specifically to help you meet your marketing objectives and improve your rankings. On-page SEO can consist of keywords, title tags and content that can be used to pull your website when a consumer types those same phrases into a search engine. If you’re working with a marketing firm to help you meet your marketing objectives, they should be able to help you figure out exactly how to use on-page SEO to reap the most benefits from it. The second type of SEO to learn how to use is off-page SEO; when you use off-page SEO, you’re using things that aren’t located on your website, such as backlinks, to direct consumers to your website. When you learn how to correctly use SEO, the amount of traffic that your website generates can increase significantly. There are a few different techniques to use, such as white hat and black hat, and it’s imperative to know which technique will help you meet your marketing objectives the best. Learning how to use SEO to ensure a profitable online marketing campaign is an important piece to the success of your business, so make sure you know how to use SEO the right way before you get started. Is your small business struggling to meet its marketing objectives and you could use some help with your online marketing campaign? If so, Direct Business Marketing (DBM) has a multitude of web solutions for you to look into. When DBM works with a customer and helps them determine how to satisfy their marketing objectives, they apply a set of nine successful marketing truths to each marketing campaign they undertake. Based upon these marketing truths and their marketing assessment, any small business owner can figure out which web solutions may fit their needs the most. One of the most utilized web solution services that DBM provides is their content submission service. With Direct Business Marketing’s content submission service, fresh new content is uploaded to your business’s website on a regular basis. All of our content submission services follow white hat SEO practices and use keyword rich text. From this constantly updated content, you can expect to receive better organic rankings within search engine results, more traffic to your website and, as a result, more leads and sales. Over time your organic search engine rankings and indexed pages will increase. We’ll also add a call to action on your website, which will encourage consumers to take the actions you want them to take. How’s that for a web solution? When you work with Direct Business Marketing to satisfy your marketing objectives, you’ll come to realize that there’s a web solution to fit every aspect of your business. Whether you need more traffic to your website, more leads or are interested in strengthening the personal relationships you have with your customers, Direct Business Marketing has a web solution for you. To find out more information about the many services that Direct Business Marketing has to offer your small business and to learn how they can help you meet your marketing objectives, please contact a marketing consultant today.